I’ve been having a love affair with YSL lipsticks lately. I’ve bought two more YSL lip products since I was able to try out some YSL Rouge Pur Couture lipsticks last month; the quality is just that good! YSL Rouge in Danger (No. 4) YSL Rouge in Dangeris a deep strawberry red, and it’s from their Rouge Volupté Shine collection. I’ve never been a huge fan of glossy lips, in fact I still hate lip gloss, but I have been experimenting more with lipsticks that have some more shine to them and aren’t super matte. This lipstick applies like a dream. You might be paying a higher price, but the formula of this is amazing. It applies so smoothly and doesn’t pull or drag on the lips. 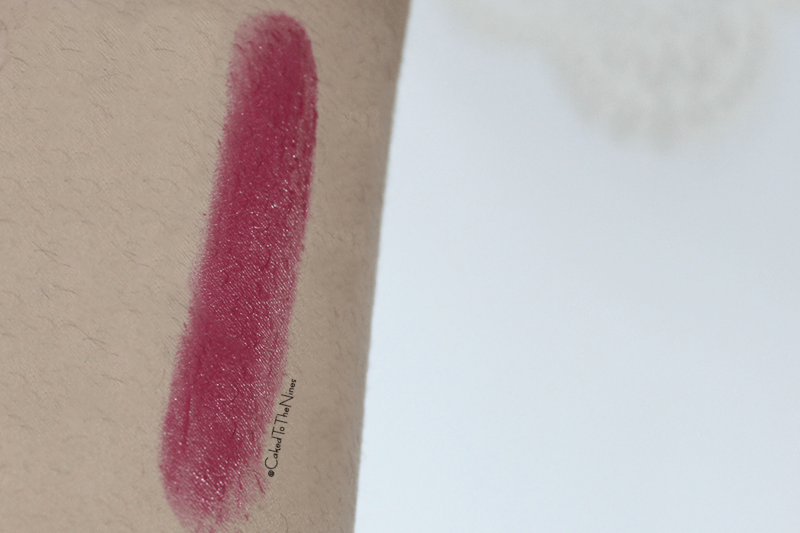 The color is pigmented, yet still slightly sheer, and a tad glossy, but not sticky. It also leaves your lips feeling hydrated and makes them look very moisturized and plump. This lipstick lasts anywhere from 3-5 hours on me, but staying power is dependent on whether or not you’re eating and drinking throughout the day. Don’t even get me started on the packaging. YSL packaging is so beautiful to begin with, and the packaging of their lip products are exquisite and so luxe. The packaging itself makes me drool. I definitely think everyone needs to treat themselves to at least one YSL lipstick. I think this is a great shade for someone who really likes red lips, but doesn’t want something too matte nor something overly glossy. 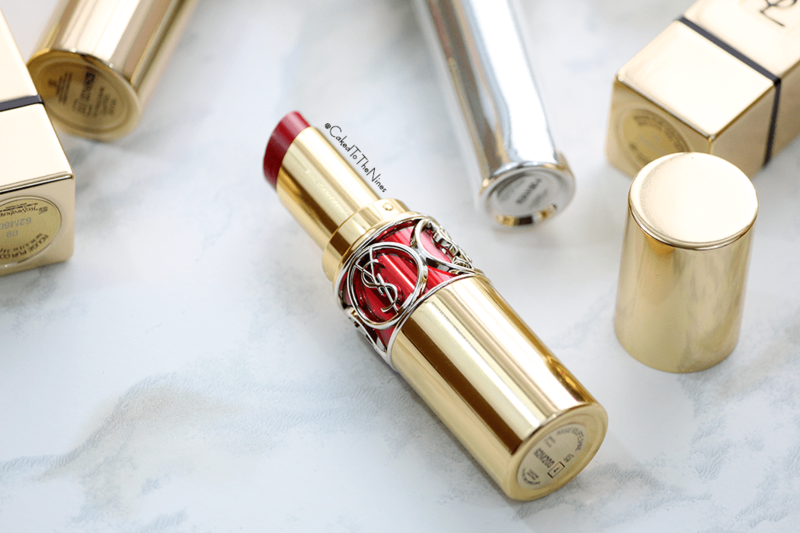 Everyone needs at least one luxe red lipstick in their collection! Interested in more YSL products? Have you tried any YSL lipsticks? Which one is your favorite? Let me know in the comments below!